Where troubles truly melt like lemon drops. 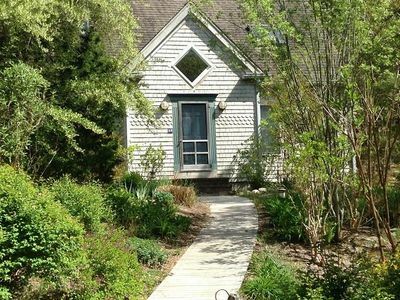 This cottage is a hidden gem on the Swan Pond River. 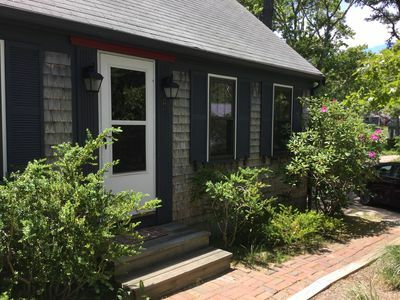 Be surprised when you walk down the boardwalk and see what awaits you on the deck and inside this welcoming and charming cottage! Wake up to the sun rising from your comfy beds. Well appointed granite kitchen with dishwasher. 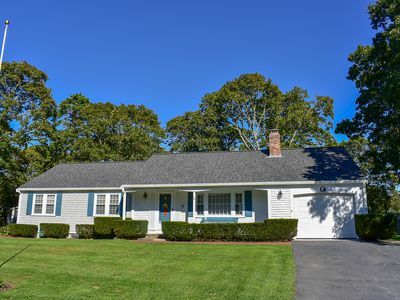 Located centrally on Cape Cod. Close to many attractions and beaches. 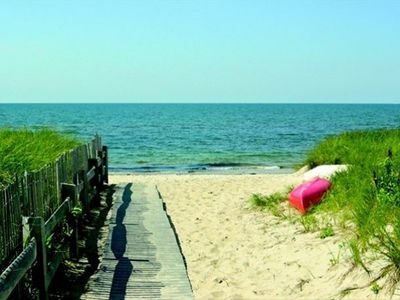 A perfect spot for a true Cape Cod vacation! Enjoy! 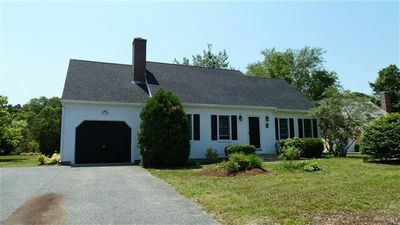 This perfect Cape cottage is tucked away on a private way, but is in a very desirable, quiet and convenient location. The Lemon Drop is set back on the property on the Swan Pond River. We have made the outdoor living area as comfortable as the house. A very tranquil, serene and private setting with abundant wildlife and song birds. Swan Pond River is visible from almost every area on this property. 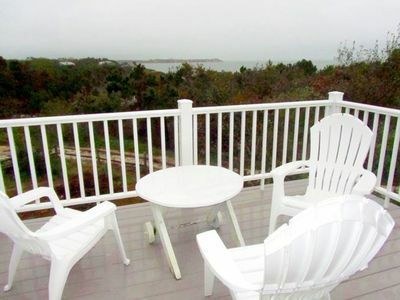 Please enjoy it with care and respect Enjoy the pretty view from the deck and we ask that you don't walk in the protected marsh and wetland areas in front of the deck. 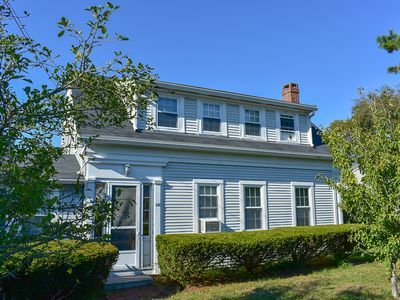 Please note: The State of Massachusetts has extended the hotel tax to short term rentals. This tax becomes effective on any booking made on or after January 1, 2019. And will take effect in July 2019. Please be aware that the tax rate may change before your rental date. Taxable items include the rent and any other non-refundable charges, including cleaning, linen, or pet fees. Refundable security deposits are not taxed. A separate tax of 12.45% will be added to the total rental fee and to the cleaning fee which includes linens for your stay. 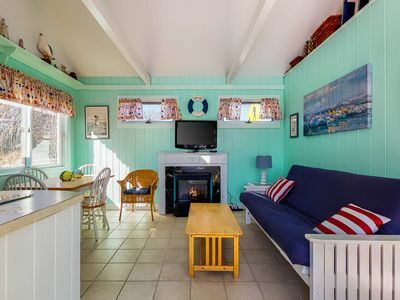 This clean, bright and charming cottage has been completely updated, is tastefully decorated and spotlessly clean. Sleeps 4 very comfortably. The kitchen boasts brand new appliances and granite counter tops. The gas stove is a dream. 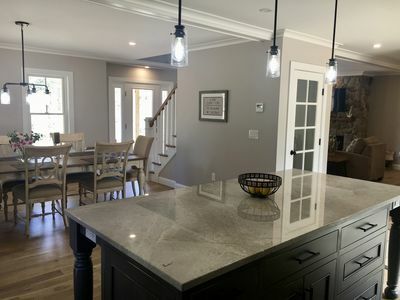 Everything you need to make and serve a great meal can be found in this kitchen including a full lobster dinner. Snip some fresh herbs from the kitchen door herb garden to finish off your gourmet meal. 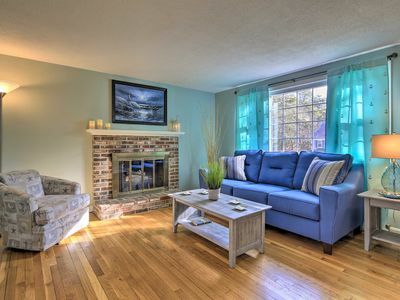 The living area is meant to be used and we made it comfy so that you feel at home in our home. 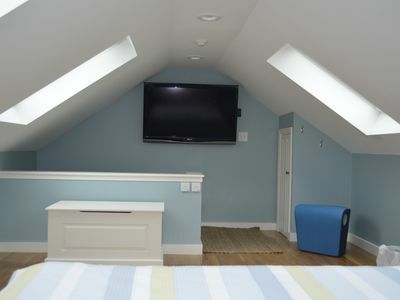 The queen bedroom has river views from both windows and the nautical room has 2 brand new twin beds with river views. This hidden little gem is very central to Rt. 134 and Rt. 28. 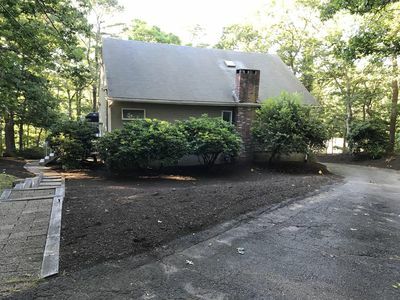 Although this property is listed with the town as a condo it is a stand alone cottage and it does NOT share any common spaces, yards, driveway or interior walls with the cottage (#7) located at the front of this property. 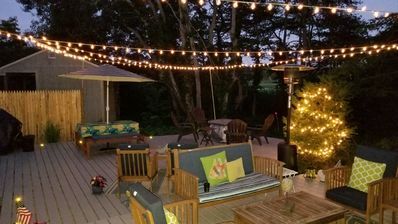 The expansive backyard deck is very private and is not a shared area. 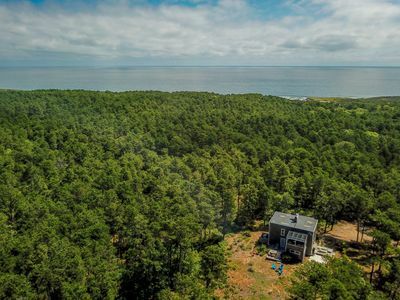 We are set back 125 ft from the marsh and river's edge which offers beautiful water views and abundant wild life and sea birds. 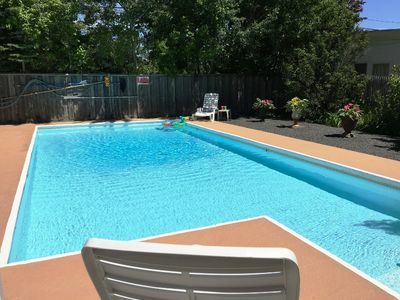 It is a very short ride to many restaurants, shopping, numerous beaches and attractions! A quick 5-minute walk to DD's for morning coffee, Honey Dew Donuts, to 7-11 to grab a paper and Kreme n Kone for a quick bite or ice cream. The cleaning fees include bed linens for the queen and twin beds. Bath, beach and kitchen towels for your stay. For our guests 6ft and taller, please be aware of a step ups into the kitchen area with a low doorway header. Please make accommodations when walking through doorways. There is also a slight step down to the bathroom. If you notice a small block of unrented days on the calendar, please don't hesitate to ask about booking them. I am willing to rent for shorter stays too if the days are available. Kindly be respectful of our friendly full time neighbors next door. The Cape Cod Inflatable park is the largest in the world and includes water and dry rides for toddlers to adults. It's a great place to take kids for an unforgettable day. There are also many spectacular walking and bike trails on Cape. Restaurants are plenty and many are family friendly. Great breakfast and excellent service at the Pancake house, Wee Packet-try the lobster Benedict, and The Egg and I. Try our favorite haunts-The Ocean house for a truly memorable meal and service. Live music in the lounge daily and now serving brunch on the weekends too. The Ocean House beach bar is lively with music and great food and drinks. The Oyster Company has never disappointed. 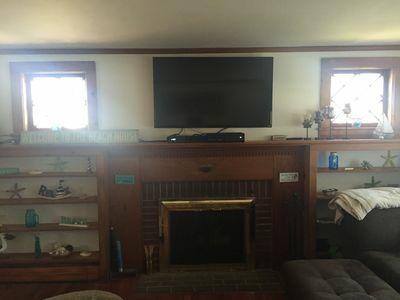 Newly redecorated. Fresh, well prepared seafood and creative dishes. The bar area fills up quickly so arrive early if you enjoy sitting at the bar! For a special anniversary or birthday night out try the Clean Slate Eatery offers a farm to table locally sourced gourmet 7 course dinner that you will never forget. Seating is for 18 people and you must make reservations when you book your stay. This is not an appropriate place for little ones. Casual Kream n Kone specializes in very delicious broiled and fried seafood dishes, is within walking distance of the Lemon Drop and is kid friendly. 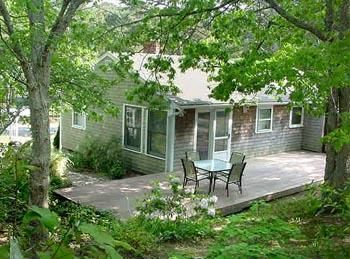 Deck seating available overlooking the beautiful Swan Pond River. Try Cleat and Anchor for a great meal with perfect service and drinks. Try the Cape Codder pizza. Clam chowder on pizza! Crazy! Red Nun's on Main Street in the center of Dennisport has a large bar and many TV's to catch the World series or watch your favorite football team win. Fabulous burgers and daily specials. Award winning -Joey's Pizza and The Dog house both on Lower County Rd. are casual, fun dining. Both venues have been voted best on the Cape. Try Chapins or The Sandbar for casual dining and drinks straight from the beach. #318: Hilltop Peace & Seclusion amidst National Seashore w/ Modern Architecture! 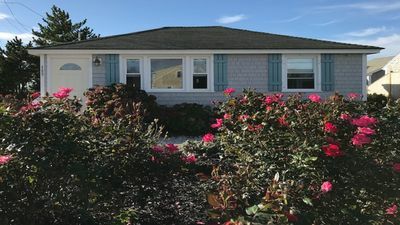 Spacious and beautiful cottage, steps away from private beach!